Those kids and their cell phones, amirite? Now, excuse me, I have to go chase some teenagers off their lawns. In actuality, I have been pleasantly surprised and the strides technology has made in the world of golf since my enforced sabbatical. Back when I was playing more consistently, you marked off yardage by striding from a yardage marker to your ball. Some guys had view finders where you tried to line up a little painted golf flag with the actual golf flag (it was just as weird as I am describing). 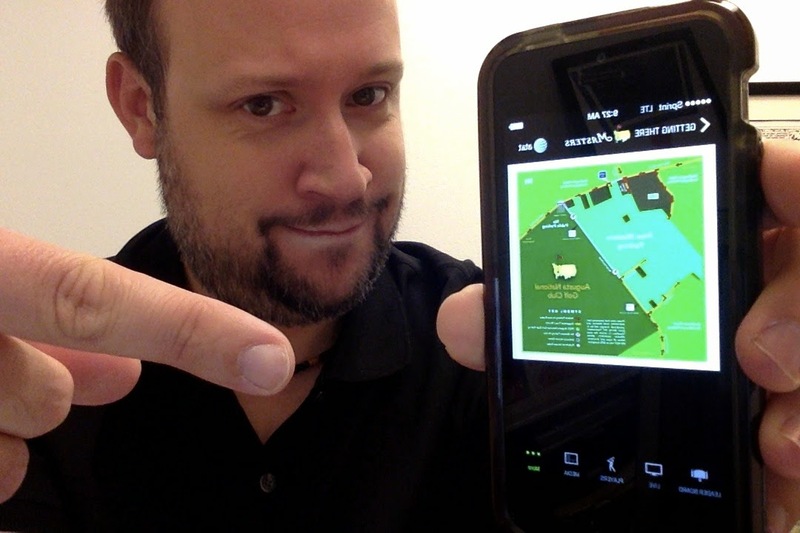 Now, it seems smart phones with GPS allow you to see where you are, the yardage and even keeps track of your scores, putts (and heck maybe will clean your clubs for you if you ask it nicely). 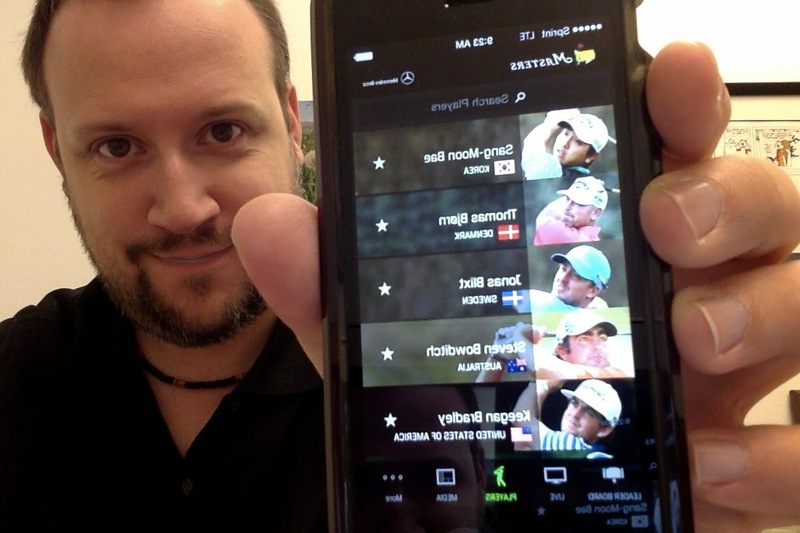 I haven't quite worked up to whipping out...the cell phone at the course yet but I decided to put it through its paces for the recent Masters tournament which I gloriously recapped on the ol blog. interesting articles, the app had it all. It was also smooth. 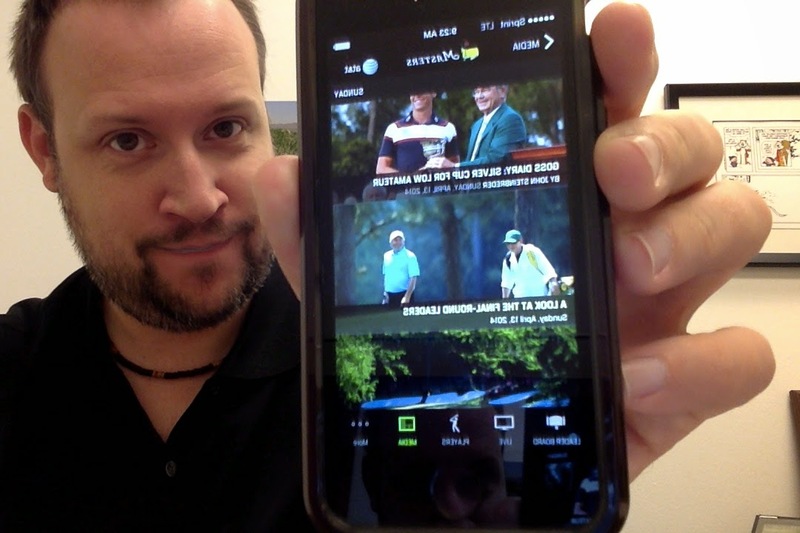 Nothing the Masters does is half assed and the app is no different. Streamlined, intuitive getting around the media, articles, etc. it worked like an app should, and isn't that what we want from an app? I am going into app-mentioning overload. App, app, app. It was also easy to share pictures, videos, etc. via social media with everything working in conjunction with Twitter and FB.